Jon Culshaw is a Comedy Impressionist, Awards Host and After-Dinner Speaker. Jon Culshaw was born in Ormskirk and educated at Winstanley College. He started his broadcasting career presenting hospital radio in Ormskirk. He later moved on to the commercial radio station Viking FM, based in Hull, and also presented the breakfast show on Pennine Radio. Culshaw rose to fame as an impressionist in 1998 while working for London’s Capital Radio. Taking part in an on-air wind-up, Jon telephoned Number 10 Downing Street and convinced the switchboard operators that he was William Hague and requested to speak to the Prime Minister. He was eventually put through to Tony Blair, and had a lengthy conversation with him! The ‘Number 10’ wind-up hit the international press and was even reported in Hansard! Jon continued to provide the impressions for the wind-up phone calls heard on Capital FM’s ‘Steve Penk Show’, and was a regular guest on Radio 1’s Chris Moyles Show. Jon Culshaw is now recognised as one of the best impressionists in the U.K. from his appearances on the BBC’s Dead Ringers (featuring Kevin Connelly) ITV’s 2DTV, The Impressionable Jon Culshaw, Jon Culshaw’s Commercial Breakdown and The Impressions Show with Culshaw and Stephenson. Dead Ringers has been coveted with The British Comedy Award for Best Radio Comedy, The Sony Gold Radio Academy Award and The Broadcasting Press Guild Award for Best Radio Programme. 2DTV was a highly acclaimed comedy animation series for which Jon Culshaw provided many of the voices. This programme has won an Indie Award and Montreux Prix Press Award as well as being nominated for many other awards, including the RTS Award for Entertainment. 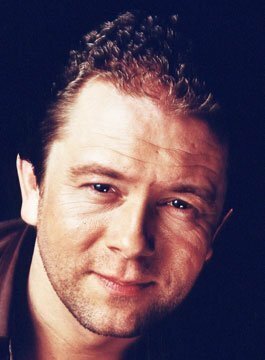 In 2001, Jon Culshaw’s show Alter Ego launched on ITV where Jon interviewed celebrities in their own style of speaking, a form of simultaneous translation. Other television credits include: Christmas with the Stars, Who Did you Do?, The Royal Variety Performance, Parkinson, They Think It’s All Over, Never Mind the Buzzcocks, Night of a Thousand Faces and Peter Cook – A Posthumous Tribute. Furthermore, Jon provided the voices for over forty characters on Spitting Image. A lifelong astronomy enthusiast, Jon has been a member of The Sky at Night team, first appearing with Sir Patrick Moore on the show’s 50th anniversary. He has also judged on the panel for the Royal Society’s Winton Prize for Science Books. Jon has a catalogue of over 350 impressions and is recognised as one of the best impressionists in the U.K.